Your payment will be safely processed by PayPal, allowing you to payment via a PayPal account or directly with a credit card. 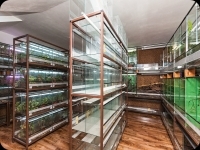 Happy Reptiles is one of the largest and most sophisticated breeding stations specialising in breeding and reproduction of terrarium reptiles in Central Europe. Over time, our wealth of breeding experience and success has provided us with the fundamentals for high-quality, skilled, experienced, and successful enterprise on the terrarium animal market not only throughout Europe, but on a global scale as well. We have been involved in animal husbandry for twenty years. 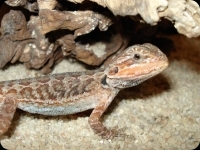 Over time, Happy Reptiles grew from a private pet breeder to a professional business, offering the sale of not only lizards, but a wide selection of other terrarium animals as well to regular and one-time customers. Our philosophy is simple. Top-quality breeding in optimal conditions in accordance with Animal Welfare regulations, leading to regular rearing of strong and healthy individuals which we then offer for further sale. 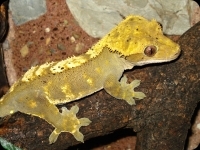 We are dedicated to providing a top-notch, professional level of breeding of terrarium animals. We continually work to expand the range of our selection of animals and of our breeding facilities. We also engage in ongoing professional development in our field, for which aim we participate regularly in education, workshops, and lectures on animal husbandry in captivity, veterinary care, new animal husbandry techniques, etc. We hold many certifications that testify to our professional and responsible approach in this field. Currently, our breeding facility houses more than 120 species which we reproduce and sell on a regular basis. Our breeding facility spreads over 250 square metres and contains more than 500 professionally-equipped terrariums providing a top-quality environment for reptile breeding. In our breeding process, we use high-quality modern technologies for lighting, heating, proper humidification, incubation, and more, ensuring continuous optimal conditions not only for animal husbandry, but also for the animals' successful reproduction and development. Our customer base includes regular wholesale customers who offer our animals for sale to final customers in their countries, as well as retailers of terrarium animals, including pet shops. World-wide, our customer base includes a number of national terrarium animal distributor chains, who offer our animals for sale in their stores as well. 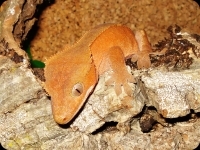 Additionally, we are able to provide a number of rare reptiles to specialised professional breeders, however we focus on the final customer as well, interested in acquiring a terrarium pet for their own enjoyment and individual breeding interests. We support all of these activities primarily through regular participation in European reptile shows.